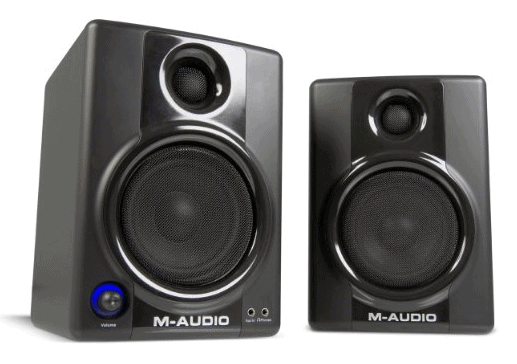 M-Audio AV 40 Speakers Review - Are the AV 40s Still Good? / M-Audio AV 40 Speakers Review – Are the AV 40s Still Good? M-Audio, a subsidiary of Avid, made some recent changes to is popular AV 40 powered speaker system although it might not be apparent by name alone. M-Audio made some definite improvements to the platform but decided against changing the name of the product. Some retailers are referring to the improved version as the AV 40 MKII or simply the AV 40 (New Version). No matter what you call these speakers, however, the AV 40 delivers impressive sound quality even at relatively high volumes. That said, some of the design changes made by M-Audio have made the new AV40 slightly less capable than the original product, launched back in 2008. Regardless of these design changes, the AV 40 is definitely a performance oriented desktop speaker system that should be on the short list of must-have items for anyone who uses their computer for multimedia viewing or gaming. Despite the changes present in the new version, the overall design of the AV 40 remains pretty much unchanged from the its predecessor. Each speaker measures in at 8.75” x 6” x 7.25”, making the AV 40s some of the biggest speakers on the market. In fact, these speakers are so large that they could easily be mistaken for small studio monitors rather than a high-end PC audio solution. The speaker enclosures are made of a medium-density fiberboard material that feels surprisingly sturdy and does a good job of dampening internal sound reflections. These speaker enclosures are also magnetically shielded. Thick plastic speaker grilles hide the recessed woofers and tweeters and a large bass reflex port can be found on the back of each speaker. Each AV 40 speaker contains one 4” polypropylene-coated woofer and one 1” silk dome tweeter that is fluid cooled with a crossover point set at 2.7 KHz. Although the differences between the two versions are relatively minor, they are worth mentioning nonetheless. The first change is the absence of the Bass Boost button which was previously located on the back of the speaker. M-Audio claims that removing this button provides more accurate monitoring of the overall sound quality. Second, the voltage selector has been removed – a feature that shouldn’t make much of a difference for most U.S. customers. Finally, M-Audio decided to reduce the rated power output of the new AV 40 from 20 watts per channel to 15 watts. Both the box and the literature inside the packaging prominently display 15 watts per channel but M-Audio now claims on their website that the new AV 40 still boasts 20 watts per channel. Official confirmation either way eludes consumers for now as M-Audio has not made a statement about this discrepancy as of this writing. Although the five watts are nice to have (assuming it has been reduced to 15 watts per channel), the AV 40s still produce impressive sound that anyone can appreciate. All of the speaker controls, ports, and the internal power supply are located in the left speaker, making it significantly heavier than the passive right speaker. The right speaker is connected to the left with only a thin piece of speaker wire. Although this may be difficult to use depending on the setup configuration, the location of the power supply within the left speaker allows the power cord to be a simple 2-prong cord (instead of a large cord with a power brick attached inline). M-Audio also includes a 3.5mm cord for plugging directly into the headphone jack of a PCs internal sound card. During testing, it became immediately apparent that the AV 40s behave as two entirely different speaker systems depending on the volume. At high volumes, these speakers perform exceptionally well, providing a solid listening experience across the entire frequency range. Even at near maximum volume levels, there is practically no distortion regardless of how much bass is present in the audio. Perhaps the only place where the AV 40s fall short of similar speaker systems at high volumes is in the noticeable lack of detail in the high frequency range. It’s not a deal breaker, but the recessed character of the highs at loud volume levels is prominent to the trained ear. The real problem with the AV 40s is when the speakers are played at low volumes. 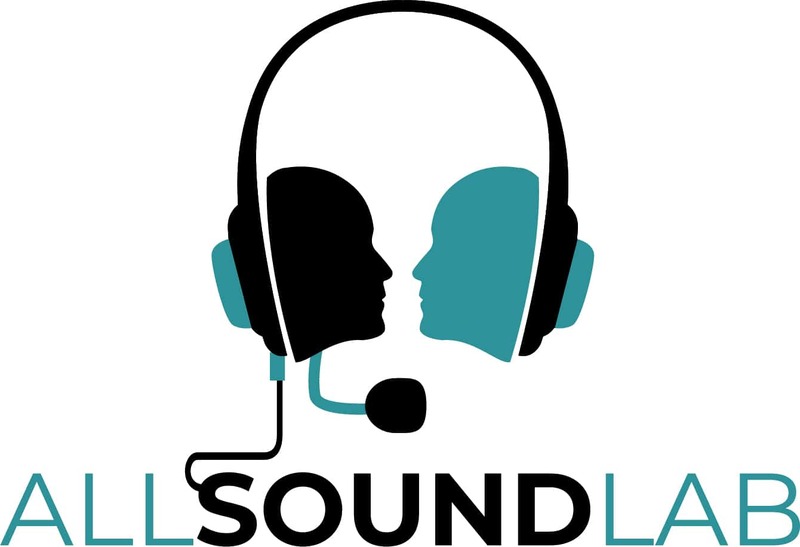 M-Audio’s decision to remove the Bass Boost feature is mostly to blame for this as the original AV 40s still produced a rich sound at low volume when the Bass Boost feature engaged. Lacking that feature, the new version doesn’t have the sound profile of its predecessor or competing speakers at low volume levels. In fact, the sound profile at low volume could be described as flat – especially when compared to other speakers in this price range. The thing to remember about the M-Audio AV 40 is that they were designed as both a PC speaker system and an impromptu studio monitor. As a pair of PC speakers, the AV 40s are impressive despite being slightly larger than most comparable desktop speaker options. As a studio monitor setup, these speakers don’t quite make the cut. While they will certainly work for monitoring purposes, the 4” woofers are just a little too small for professional studio use. The M-Audio AV 40 is an impressive pair of powered desktop speakers that are perfect for enjoying multimedia and gaming. They produce sound (especially at high volumes) that is as good, if not better, than just about any other 2.0 speaker set on the market. Where these speakers fall short is when used as studio monitors. While hobbyists may find that these speakers are adequate as monitors, audiophiles won’t be happy with the performance of the AV 40 when used in this manner. The bottom line is that the M-Audio AV 40 is an excellent choice as a PC speaker system if your computer desk has enough extra space to accommodate the rather large speakers. The sound rendering at high volumes is accurate and surprisingly crisp despite a slight loss of detail across high frequencies. At lower volumes, the speakers still sound decent although the overall sound is noticeably flatter due to the lack of Bass Boost or a similar dynamic EQ feature. As a studio monitor, don’t expect too much from the AV 40s but the relatively flat audio response allows them to be used as monitors if necessary. Unfortunately, the speakers would need slightly larger woofers to really compete in the studio monitor market but it’s nice to know that they can hold their own in this regard when needed. In other words, if you aren’t looking for a set of reference-quality studio monitors and you don’t mind the large size, you really can’t go wrong with the AV 40. Although not the best performing speaker system out there, they aren’t the most expensive either and the current price (see here) is a bargain when you consider the overall sound quality produced by these speakers.